Being diagnosed with high blood pressure or ‘hypertension’ can be quite scary. Even if you’re not yet at any serious risk, it’s still fairly daunting. It makes you question your lifestyle and your health, as well as your attitude towards your own body. You may feel a sense of guilt or even shame at allowing the condition of your body to deteriorate, but don’t worry. High blood pressure is extremely common and almost always reversible to some degree. All it takes is a little time and a lot of effort. Here are ten natural ways in which you can lower your blood pressure. Weight is a very important factor when it comes to high blood pressure. Generally speaking – the larger your waistline, the more at risk you are of developing hypertension. It greatly aggravates and speeds up the damage done by an already diagnosed high blood pressure condition, so lose some weight. There’s nothing more to it than that. Speak to your doctor if you need help or advice, say the experts at Blood Pressure UK. Make regular exercise a part of your weekly routine – whether you happen to be overweight or not. 30-60 minutes of physical activity a day can lower blood pressure by 4 to 9 millimeters, say the experts at Mayo Clinic. Such a change can occur after just two or three weeks of regular exercise. Do avoid trying to cram all of your exercise plans into the weekend. This isn’t healthy for anybody – let alone those with hypertension. Again, this is a fairly obvious piece of advice for those suffering from high blood pressure. Eating not only a healthy, but a balanced diet is vital. A diet that is rich in fruit, whole grain, vegetables and low fat dairy products can significantly lower blood pressure. Try to avoid high levels of saturated fat, sodium and cholesterol wherever possible. This type of diet is known as the Dietary Approaches to Stop Hypertension or the DASH diet. Visit http://www.heartandstroke.on.ca for help with creating a personalized plan. Boosting potassium levels can help reduce hypertension. It could be a good idea to consider taking supplements. Interestingly, dark chocolate has been proven to reduce high blood pressure – so, it’s not all bad news! According to the experts at Mayo Clinic, alcohol consumption is another contributing factor when it comes to hypertension. In small amounts it can, rather remarkably, lower your blood pressure – but if drunk in excess it can cause major problems. More than two drinks a day for those under 65 and more than one drink a day for those over 65, can result in aggravated hypertension. Always avoid binge drinking and try to restrict your alcohol consumption to one or two days a week. Not only will it lower your blood pressure, but you’ll feel much healthier all round. Again, this is another obvious preventative measure – there’s a pattern occurring here. Even secondhand smoke can increase blood pressure, so imagine what smoking does to your heart and arteries. There’s nothing more damaging, really. Up to an hour after smoking, a person’s blood pressure is a whopping 10mmHg higher than it usually is. If you chain smoke throughout the day, your blood pressure is never given a chance to come back down to normal levels. Though the effect of caffeine on blood pressure is still being debated – it’s generally advised that you should avoid drinking too much coffee. Caffeinated beverages have been proven to cause a spike in blood pressure levels, but we don’t yet know how long lasting that spike could be. Some people are actually more sensitive to caffeine than others. Generally speaking, it’s not a good idea for anybody to drink excessive amounts of coffee or other caffeinated soft drinks. There are a million and one ways in which you can help a high blood pressure return to normal levels. It isn’t all that hard and it certainly isn’t rocket science. 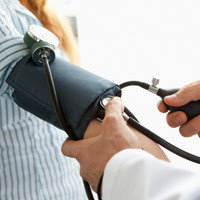 Unless you have very severe hypertension issues and your doctor recommends that you take medication or else you can use an online pharmacy like PC Pharma when getting your prescribed hypertension medication – your high blood pressure is reversible. It is down to you to change your life and your health. Emily Steves, 27 years old,a writer and contributor associated with some health communities. She is a fashionable young girl, loves to cook, reading , explore different places and loves to share all her experiences in her writing on various topics in different blogs.